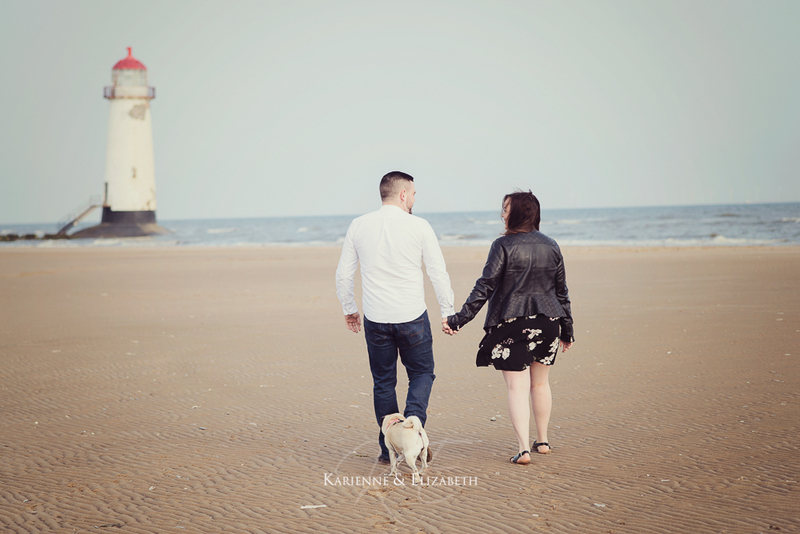 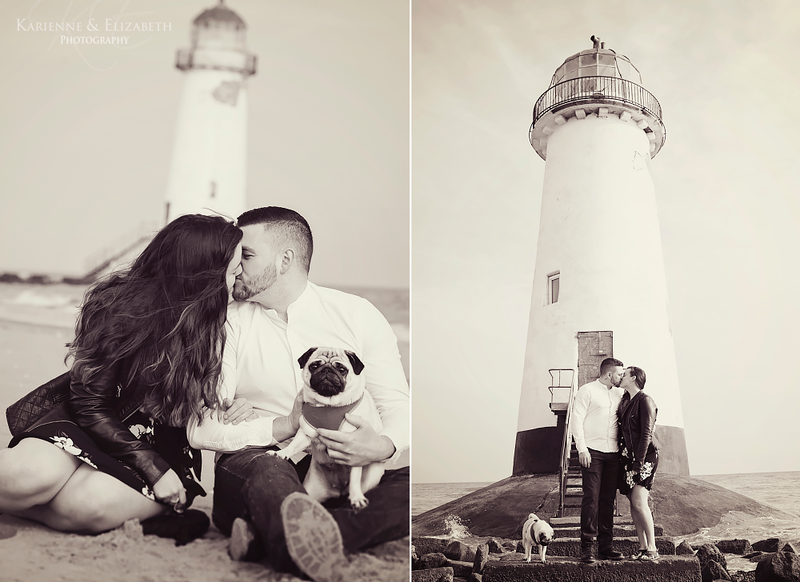 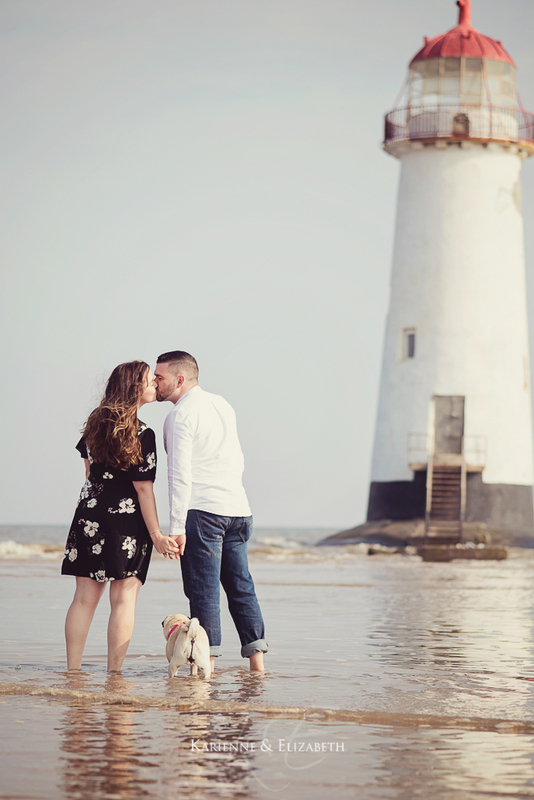 We have been looking forward to this beach engagement session ever since we found out where this couple met! 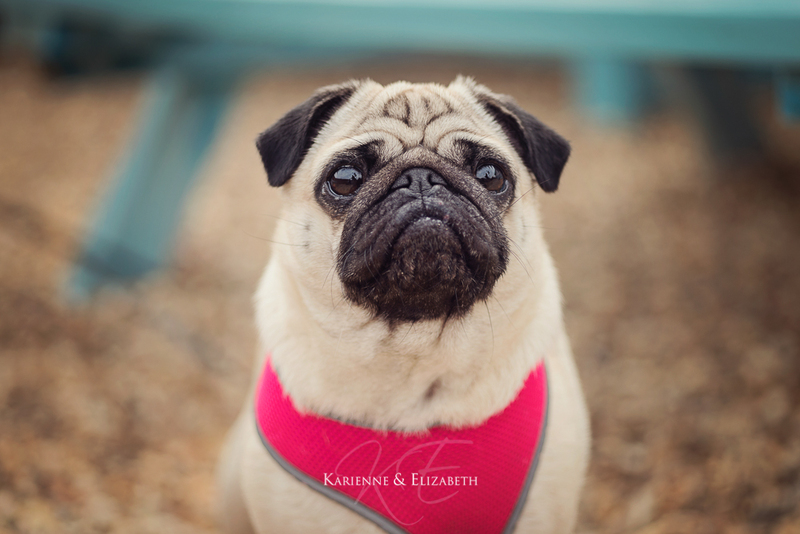 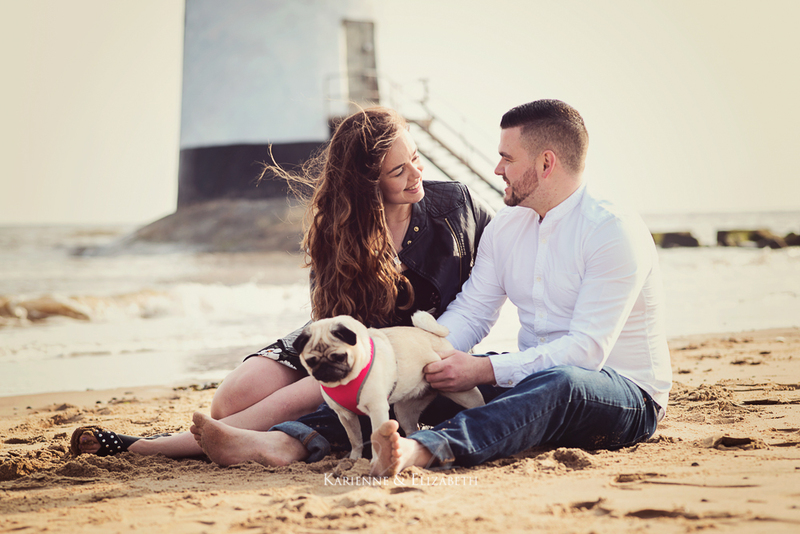 Meet Lauren and Jay…and Minnie too. 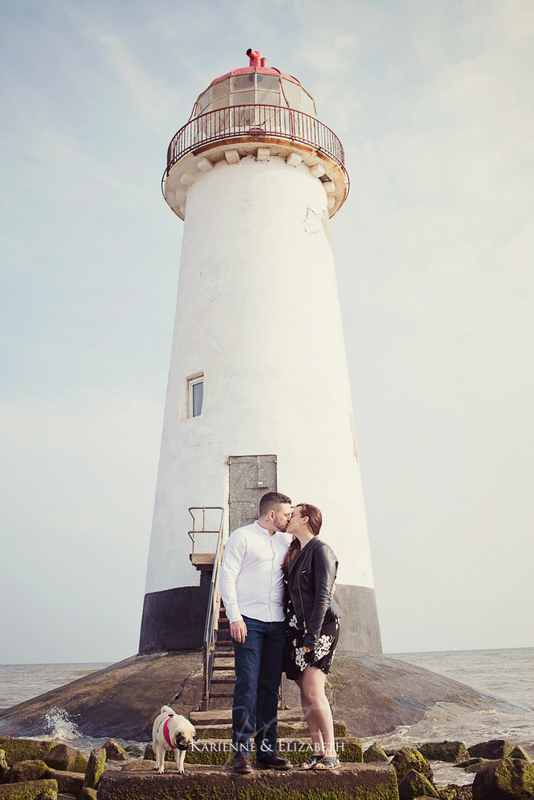 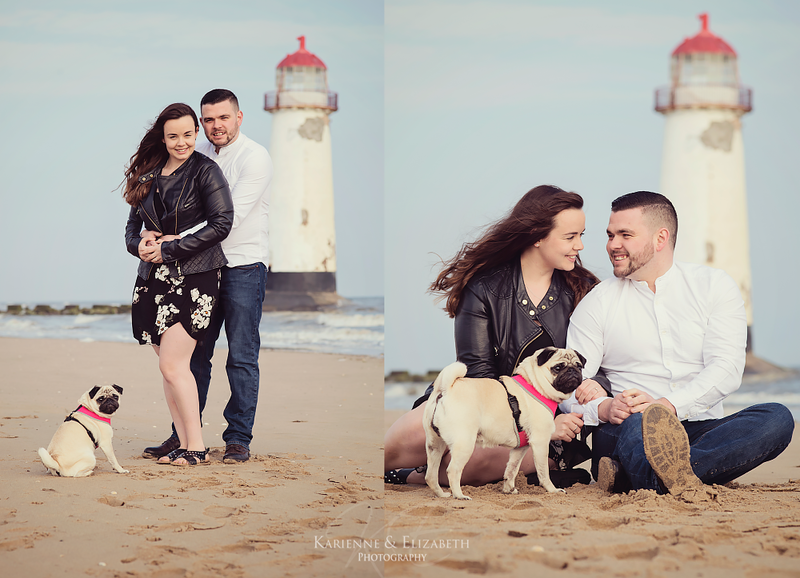 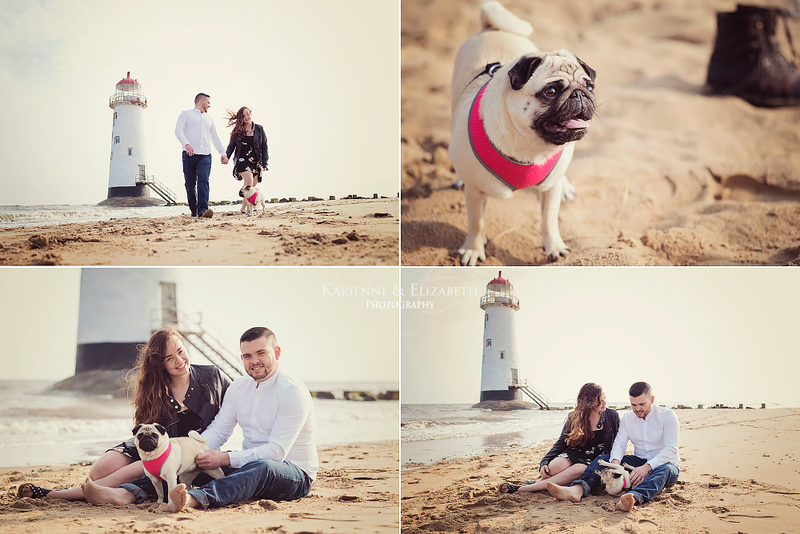 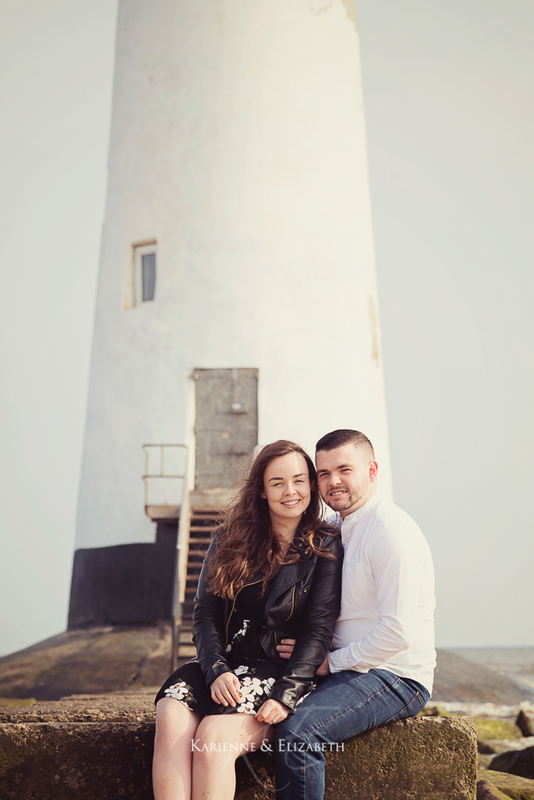 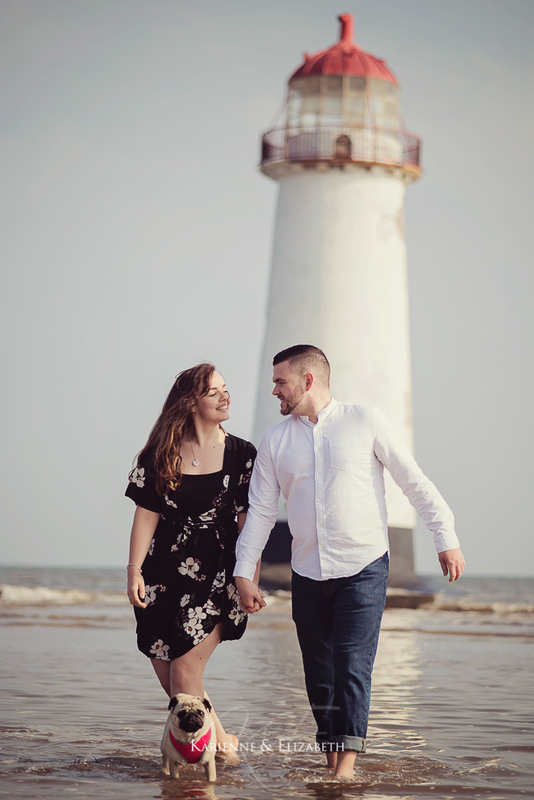 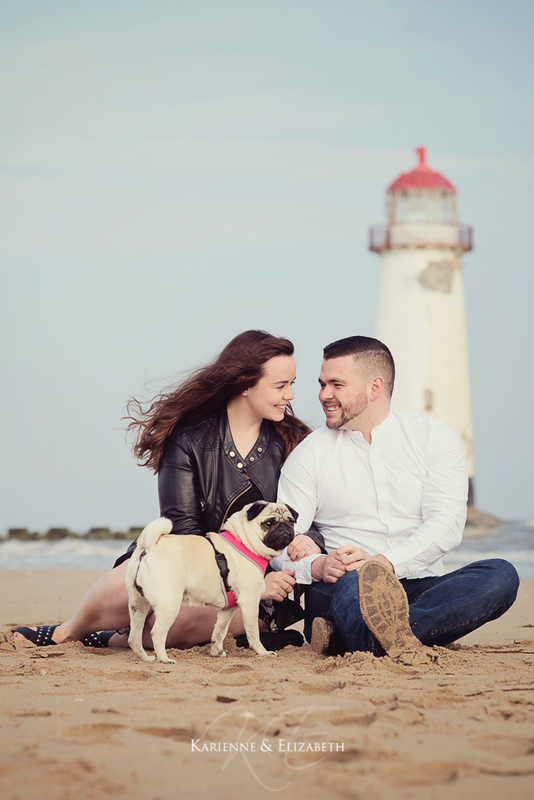 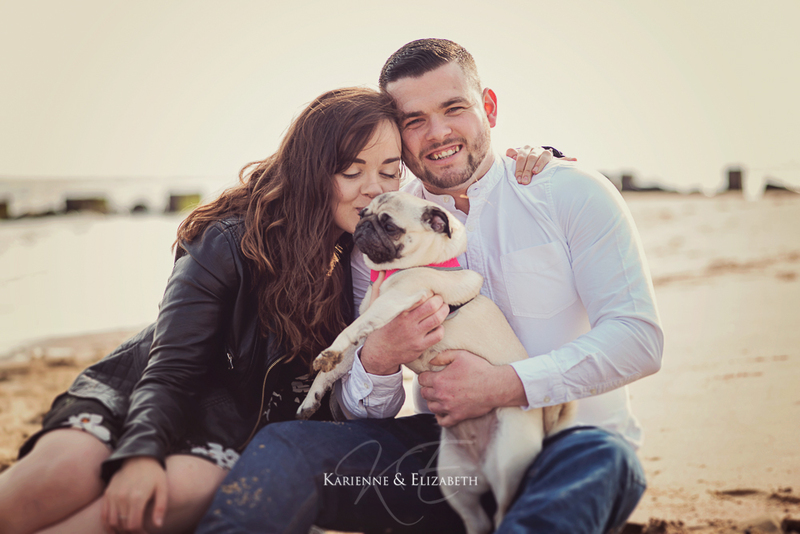 Lauren and Jay’s romance sparked when they met during a summer holidays in Talacre when they were teenagers. 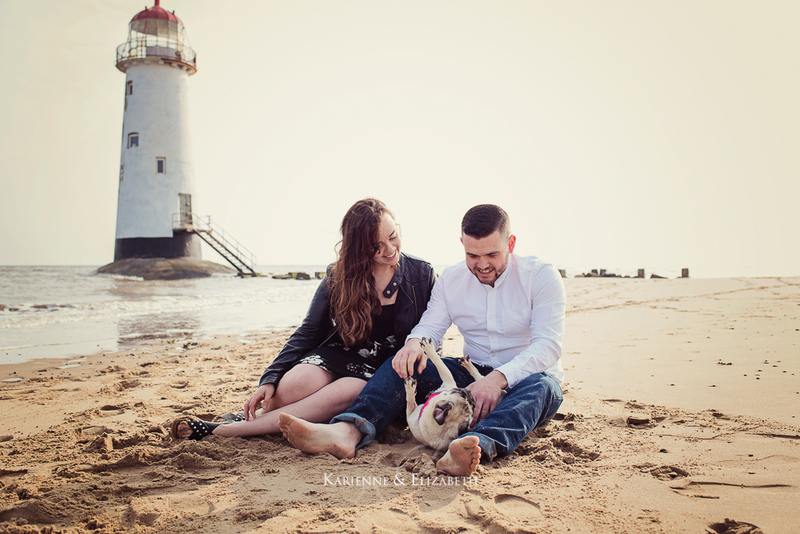 This beautiful beach has been on our list of locations to visit for some time and it is even better that it has a special meaning for Lauren and Jay. 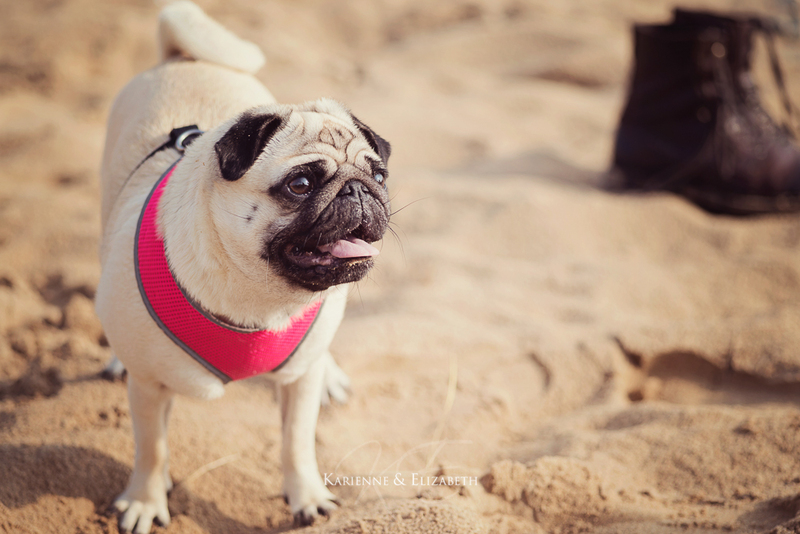 We met up early on a Saturday morning so we could miss the beach walkers. 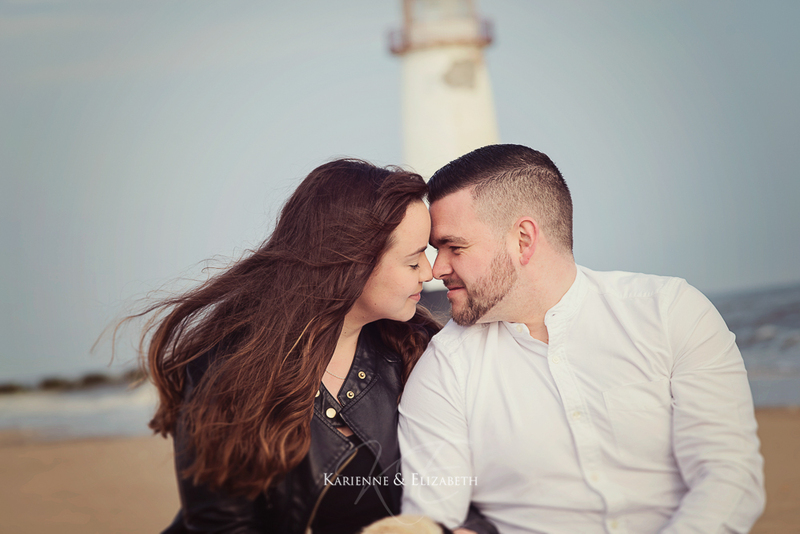 The weather was absolutely perfect with the sun lazily rising on the sky and the light refreshing breeze kissing our skin. 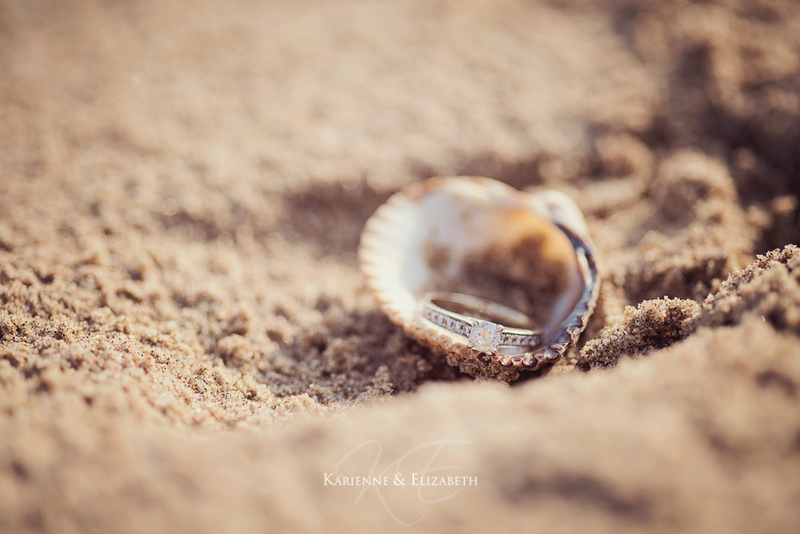 The sand between our toes, the sound of the ocean… just perfect! 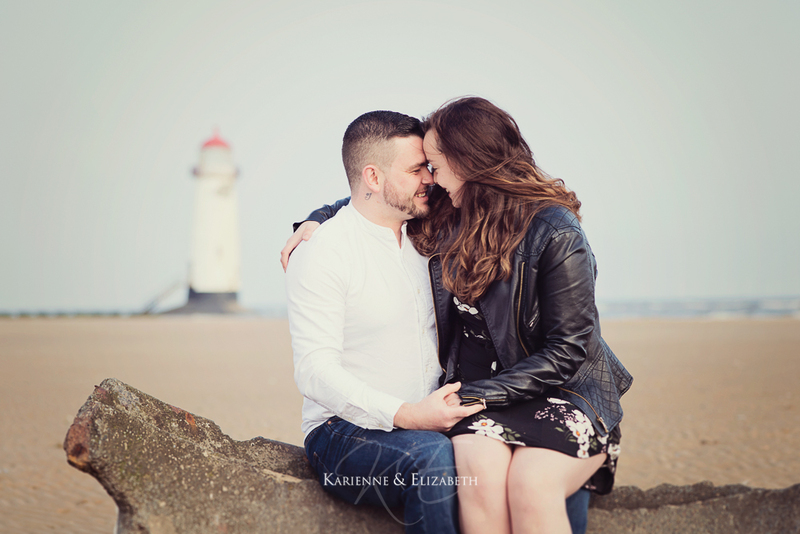 We are looking forward to photographing your special day and seeing those Louboutins teamed with the dress 🙂 Excited photographers! 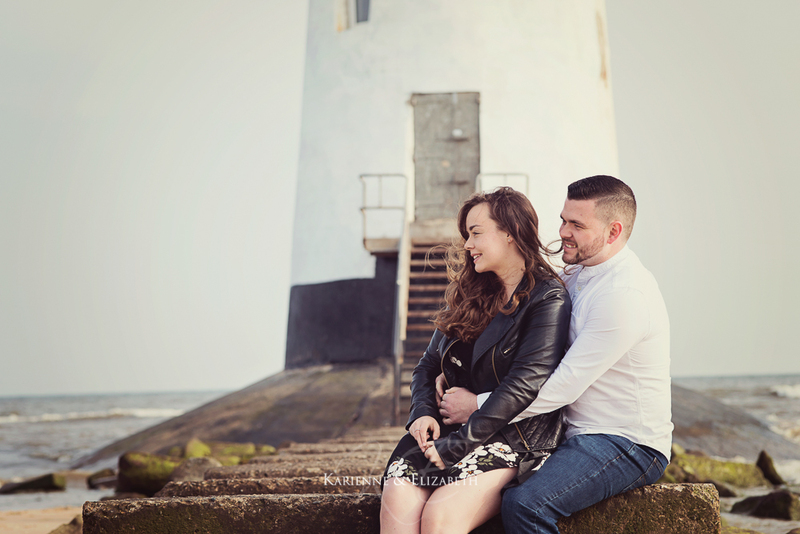 We love to find new different locations for our engagement shoots, if you have any ideas or places you know that we’d love please get in touch with us. 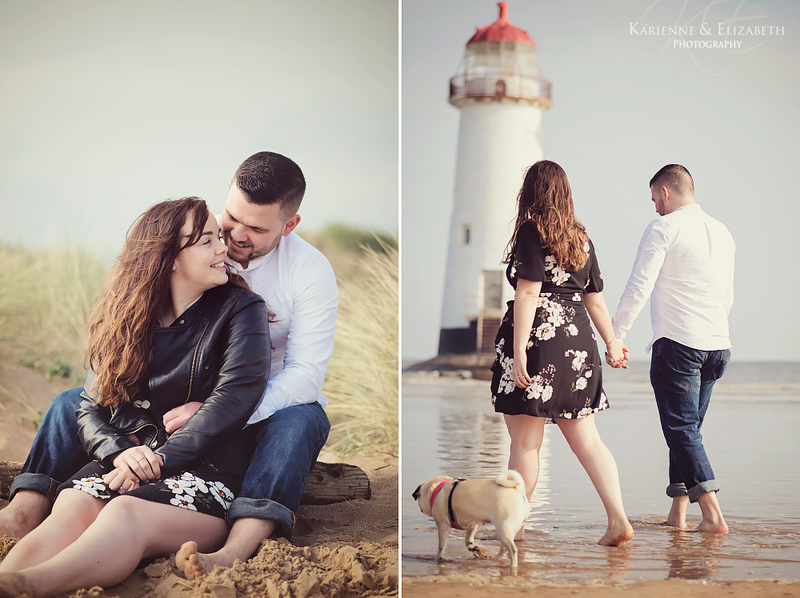 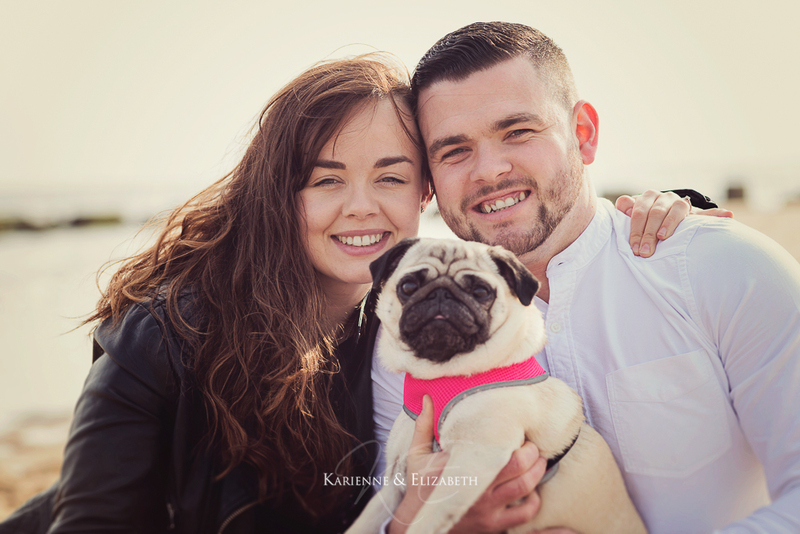 If you would like to see more photographs from our recent engagement shoots, weddings or portrait session click here to visit our Facebook Page.